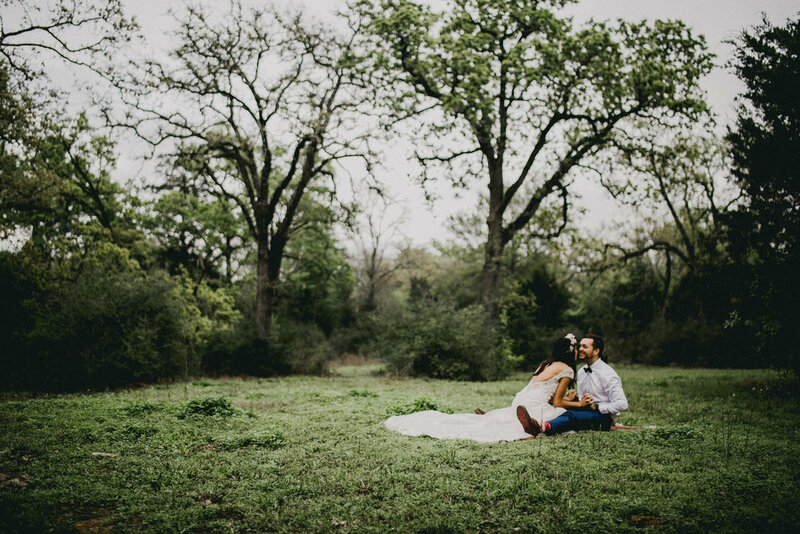 Miriam and Justin embraced the light rain during their after-wedding bridal session, and it was glorious. 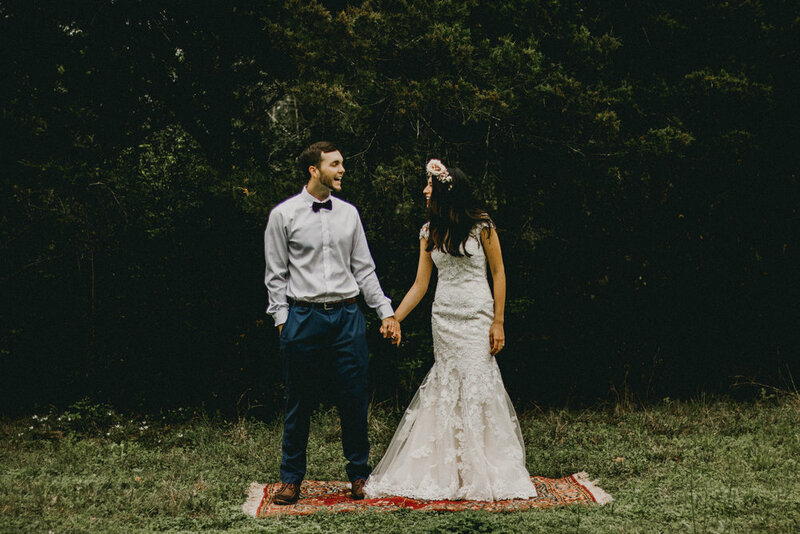 These two sweethearts were married in June 2016, and wanted to put their beautiful attire back on for a moody, rainy-day session. 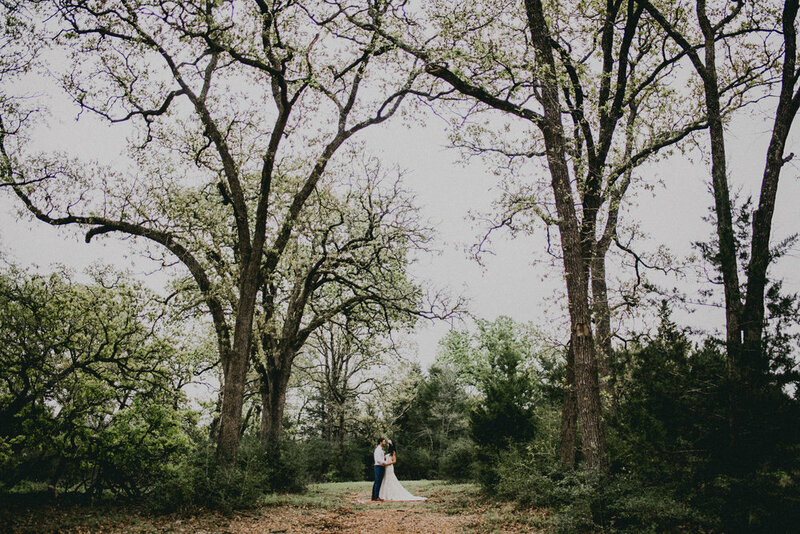 The gray, overcast skies offered ample soft light (to go with those soft smiles), and light misting made the surrounding woods look like something out of a fairy tale. 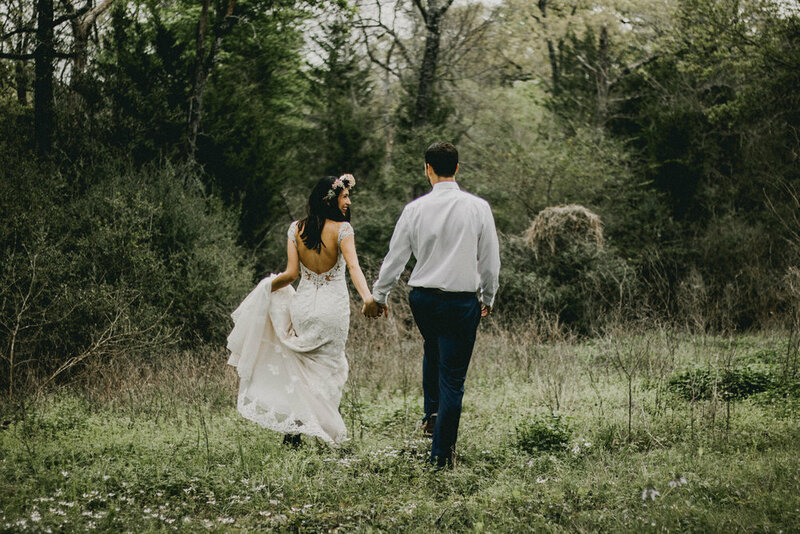 It takes courage to step into the forest with an Essence of Australia wedding dress on, but Miriam proved that a bit of courage and openness more than pays off in the end! Isn't that bouquet gorgeous? You can thank Yellow Thistle Designs for the bouquet and crown! I am obsessed with all the textures and colors! Plus, that flower crown was so light and adjustable - basically perfect! Yellow Thistle Designs is ran by Amelia, a college student who lives here in College Station. 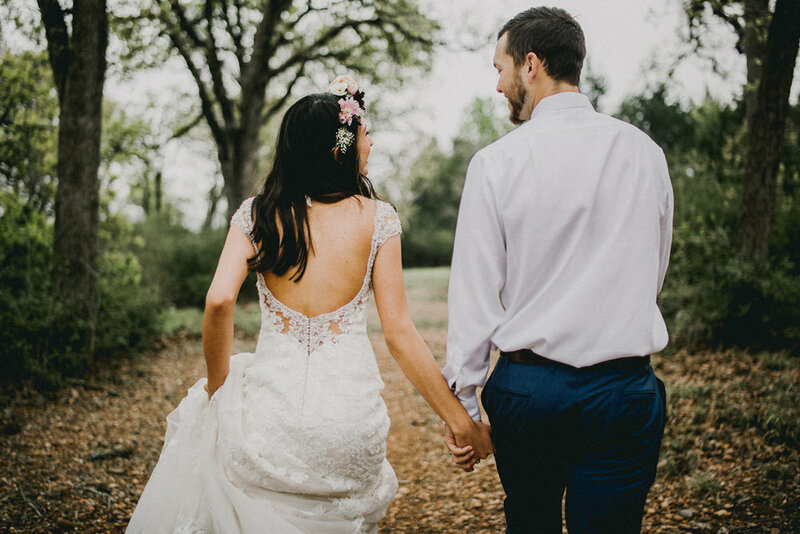 We love collaborating with local vendors in the wedding industry, and we were delighted that Amelia was open to having her work shared and featured by Century Tree Productions! 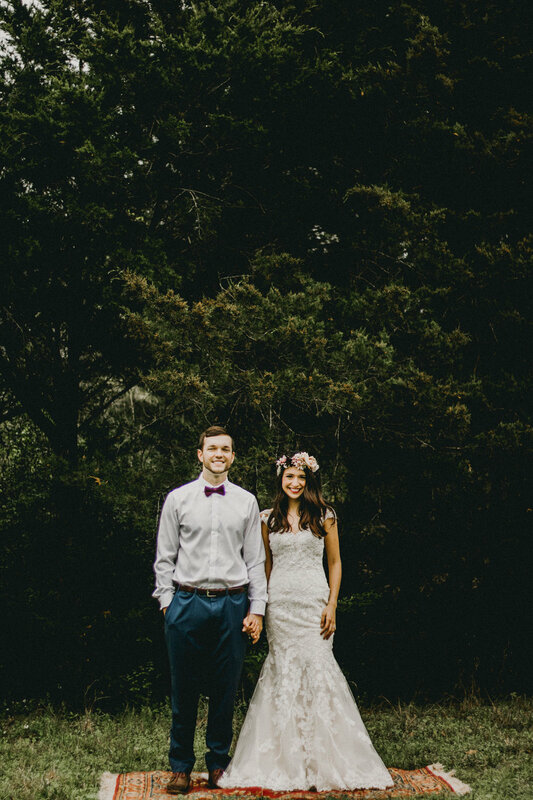 College Station has an incredibly supportive, inclusive, and thriving wedding industry, and we are thankful we get a chance to work with such wonderful people! 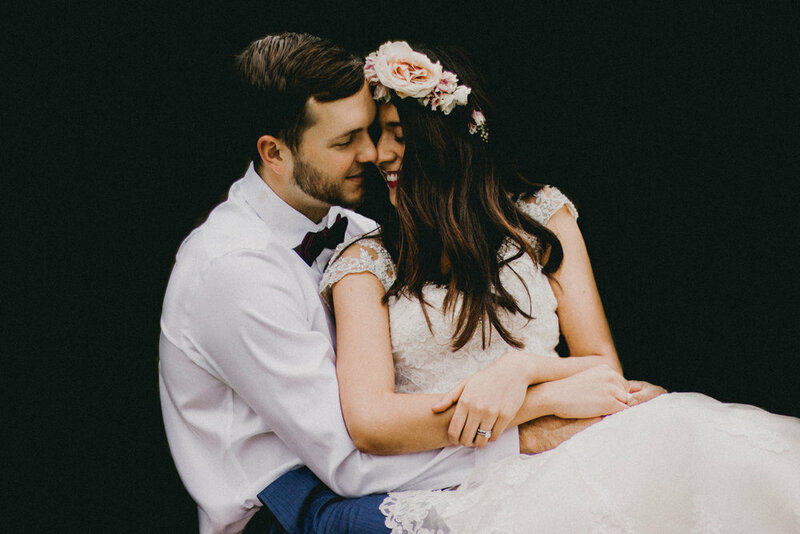 I love that I get to photograph people in love for a living.